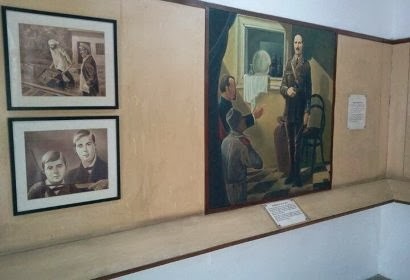 Govind Vallabh Pant Public Museum situated on the Mall Road in Almora showcases rich and unique collections of items of archaeological, historic and cultural significance. The precious articles belong to the Katyuri and Chand dynasties are also displayed here. Important and noteworthy collections includes a folk style of painting known as Aspen and Kumaoni antiquities. Culturally significant Aspen is a matter of research and this museum provides opportunities to have a closer view of the various aspects of Aspen painting.